If your team is without a dominant post player and you need an effective offense to utilize the players you have, this video is for you! The High Post Offense is a great offense, utilizing guards and undersized post players with great success and creates spacing, works against pressure defense, has many options, and is limited only by your imagination. Coach Altman shows you his base set for running the offense, shows you the correct positioning, movements, and cuts. He then goes into different set plays you can run out of the offense to utilize different strengths you may have or exploit potential weaknesses your opponent may have. 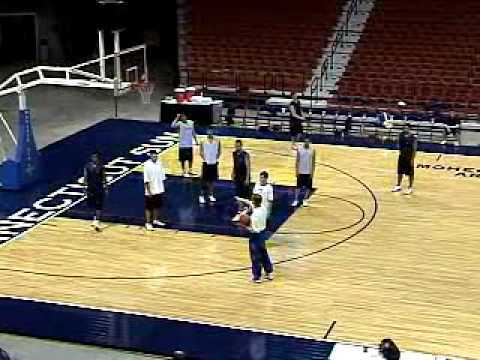 Altman ends the tape by showing you different ways to run a delay game when time is critical and shows you different ways of transitioning into the offense from a fastbreak. Excellent instruction!